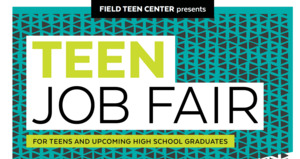 Join us at Parkway Central Library for volunteer, job training, education, and employment opportunities for teens and upcoming high school graduates! We’re raffling off a $50 Barnes and Noble gift card, so you don’t want to miss this! Snacks provided. Partner Organizations: Urban Affairs Coalition, The University of the Arts, Repair the World, JEVS Project WOW, JEVS IT Pre-Apprenticeship, LEAP, Mighty Writers, Job Corps, PYN, Orleans Technical. For more information, contact TeenCenter@freelibrary.org. Follow us on Instagram @FLPTeenCenter! Teen programming at Parkway Central Library is made possible by grants from the Philadelphia City Institute Board of Managers and Independence Foundation.